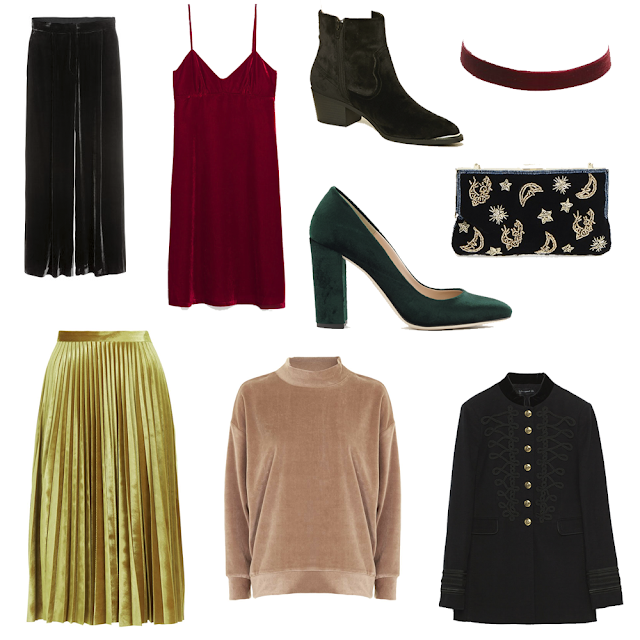 Fall trend forecasts have been leading to one place: velvet. Velvet boots, velvet dresses, velvet blazers, velvet chokers...#VelvetEverything. We saw it at Alberta Ferreti, Rochas, Ralph Lauren, Marc Jacobs, Jason Wu and on so many more runways back in February. It's popping up in every retailer it seems, flooding the pages of Zara, H&M and department stores all alike. If there's every a time to embrace velvet away from the holidays as a child (I feel like every kid has had some sort of red or burgundy velvet dress thrust upon them for some sort of holiday event at some point in their lives) and filter in velvet pieces this fall for some extra flair.